Since most early-stage startups do their marketing themselves, it’s critical to know the right (and cheap) DIY solutions. The right marketing tools will allow you to save time (and money! ), automate processes and scale what works – so you can reach your revenue goals faster. According to our study, 92.3% of early-stage startups do their own marketing, rather than working with marketing agencies or freelancers. We get it. When you’re bootstrapping and every penny counts, and you simply can’t afford a marketing professional, or agency. At the same time – marketing is critical for your startup success and how you do it can be a make or break for your business. To do marketing in your startup right – with limited resources – you need to use the right tools. The best marketing tools can be expensive though – and a few dollars here and there can soon add up to a bill running into hundreds or even thousands of dollars per month (btw. check out our post on how to save money on marketing in a startup here!). 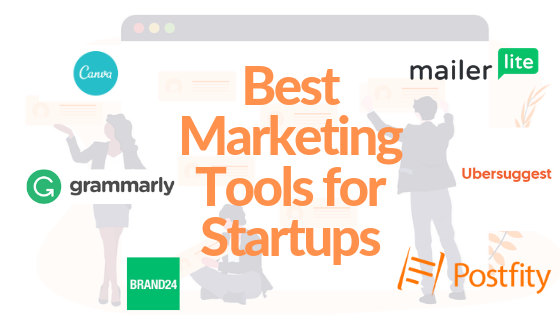 Hence, in this post, we are going to present the best marketing tools for startups – based on their functionality and value for money – as well as their FREE alternatives. We’re going to zoom in on each of the 7 essential steps in the startup marketing process, and explain how you can use each tool in your startup to improve your marketing efforts. As we have mentioned in our previous post – having a proper marketing strategy is key to your startup marketing success. Your content marketing is not going to be effective unless you plan your content topic based on research what your target audience wants to read. Simply asking your audience may not be the best method (people tell you what you want to hear, plus you may get too few answers to get an objective picture). To get an idea what topics engage your target audience (and potential customers!) most, you should spy on your competition. Check what posts your competitors are publishing on their blog and which topics were most popular in terms of social shares. Sounds like a lot of work? Fortunately, there are some great competitor research tools for that! By checking which topics from your competitor’s blog got most shares, you can gauge what will most likely resonate with your target customers. This will also allow you to create content that will be even better than your competition. Provide more value to your audience is the main premise of the so-called ‘skyscraper’ technique in content marketing. BuzzSumo offers 10 free searches and then you need to pay. Neil Patel’s tool Ubersuggest has recently added the competitor analysis feature to its suite and allows you to check estimated traffic to different pages on the domain you’re looking up, as well as the number of social shares on Facebook and Pinterest (unlike BuzzSumo, it does not offer insights into Twitter and Reddit, or the number of backlinks (=other domains linking to the particular page – you can reach out to them and see if they would like to link to your better post too ;)) at the moment). The backlinks will be added to Ubersuggest soon, which makes it a pretty good *free* alternative to BuzzSumo. 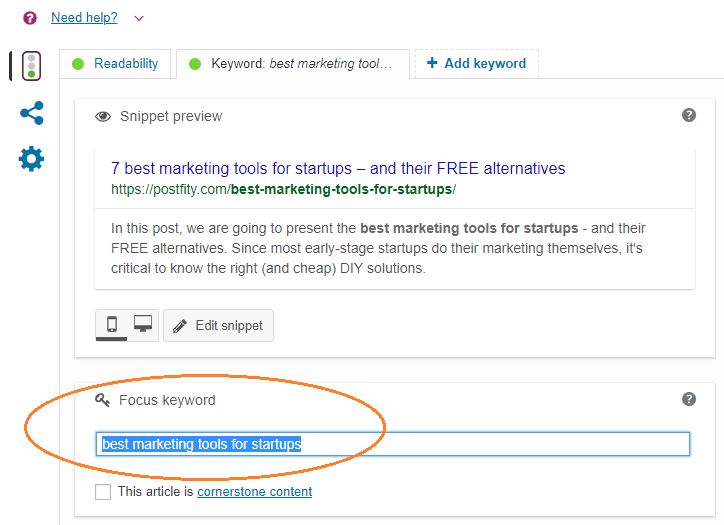 It can also be used for keyword research (see point #2) which makes it a pretty robust free marketing tool for startups on a tight budget. If you want to attract traffic from search engines, keyword research is the first step you should take when planning your blog posts. The right keywords will increase your chances of landing high in SERPs (Search Engine Results Pages), and therefore – driving organic traffic to your website through your blog. Search Engine Marketing is currently considered one of the most effective types of digital marketing. After all, when people look for solutions to specific problems, they go on Google, not Facebook or Instagram. Because of that – it is a very crowded space though. If you want to rank on the first page in Google, you need to optimise your blog posts for the right keywords: ones that your audience is likely to search for when they are looking for solutions to their problems, and that have low difficulty (=low organic competition), and preferably high search volumes (although from my experience even if the search volume is very low, you will still see massive uptick in organic traffic if you rank on #1 page in Google). The right keyword research tools will help you with the ‘brainstorm’ the right keywords by offering ‘keyword suggestions’ – lower-difficulty alternatives to the most popular (aka competitive) keywords. Personally my favourite keyword research tool, with very user-friendly interface and traffic-light indicator of keyword difficulty (probably the most important indicator in keyword research) – red for ‘difficult’ keywords, yellow for ‘possible’ keywords and green for ‘easy’ and ‘fairly easy’. KWfinder suggests similar keywords to the one we are searching (which may help you find one with high search volume and low difficulty) on the left, and shows the top-10 search results in Google (SERPs) for the keyword on the right. By showing the domains that ranked in the top-10 together with their Domain Authorities, KWfinder allows you to grasp how hard it will be to outdo your competition in that respect (if your domain authority is fairly low, e.g. 18 (on a scale 0-100), then it will be very difficult to ‘outdo’ domains with DA of 70-90). The tool gives you free 5 searches per every 24 h.
Conclusion: Ubersuggest will be a perfect solution for your startup combining competition and keyword research, especially if you are on a tight budget. If you have a blog on WordPress.org (and if you don’t – you should! Here’s how you can make set up one in a few minutes) – Yoast SEO is the best SEO writing coach you can get. what elements you should include in your text (links, photos) etc. After a while of paying attention to its SEO suggestions, you actually begin to write better. 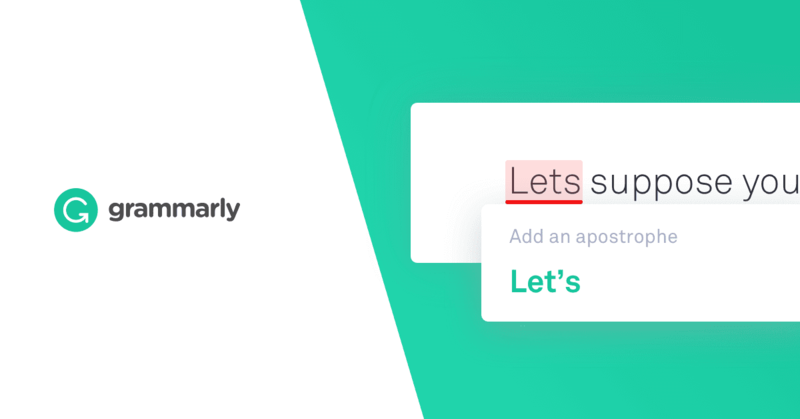 It tells you whether your sentences and paragraphs are not too long, whether you’re using enough transition words, and whether you’re not overusing passive voice. All these factors have an impact on user experience – if your texts are too difficult (and unpleasant) to read, it will be much harder for you to convert your audience into potential customers. The green alerts will help you both correct your mistakes and understand them – helping you write better in the future as well. Canva is without doubt one of the best marketing tools for startups – it lets you create beautiful designs based on pre-defined templates in many formats. You can create infographics, graphics for social media (Facebook/Twitter covers, posts, profile pictures, ads etc. ), posters, flyers, ebook covers and a number of other designs. Most importantly – they are all in the right formats – which saves you time figuring out what dimensions you need for different social media platforms. The free version of Canva is perfectly enough for basic design work if you’re not fussy – and as a lean startup owner, you really shouldn’t be. Didn’t find what you were looking for on Unsplash? Check out our earlier post on 70+ Best Databases with FREE Stock Photos. In conclusion: with Canva, Unsplash and Undraw – you should be able to meet all your graphic design needs for your early-stage startup marketing. Social Media Schedulers are a must-have marketing tool for any startup. In order to maximise engagement and organic reach, you need to post several times a day – often on several platforms (Facebook, Instagram, Twitter) where you can find your audience. Good news: social media schedulers don’t need to be budget-breaking anymore. Postfity is a social media scheduler designed especially for startups – it’s free account offers up to 5 social media profiles, and the paid plans starting at $9 per month are more than 2 x cheaper than the bigger alternatives. Moreover, Postfity offers Facebook covers scheduling – up to 7 covers scheduled at once – which can be used as free advertising space for promotions and product launches! Moreover, you can add up to 10 people to your account as your team within the pro plan. Posting on your own social media profiles is not enough in 2019. You also need to be joining conversations on social media: about your brand, your competitors, and answer questions related to the pain points of your customers. But scoring social media for relevant conversations would be an impossible task without the right tools. Fortunately, there are quite a few Social Media Listening (Monitoring) apps out there – you set your keywords, and they monitor open conversations and posts on social media for them! Which social media monitoring tools are best for startups though? Brand24 is one of the best marketing tools for startups out there – it basically allows you to monitor social media for keywords that may lead you to discover (flocks of!) potential customers. Social Mention may not offer social media monitoring, but it show mentions for specific keywords on blogs, websites as well as sites such as Reddit. Ok, so you’ve written your blog posts, and promoted them on social media. People are stumbling upon your post online, reading it and…what next? You need to have a way of capturing their data and then nurturing this relationship until they become clients. And what’s the best way to do that? By offering them to sign up for a newsletter! Email marketing tools are one of the best marketing tools for startups allowing them to convert readers into potential customers. MailerLite offers extremely good value for money even within the free account – 1000 subscribers, and 12000 emails for free – is usually more than enough for an early-stage startup. Why do we prefer MailerLite to MailChimp? MailerLite has more functionalities within the free account (even though it allows only 1000 subscribers, rather than 2000 like MailChimp). Also, the price increments are much less painful once your subscriber base begins to grow. If you have a large email database from the start (e.g. your users agreed to receiving a newsletter from you) – you may look for some open-source solutions. Mautic is one of them – it offers email marketing automation. Unlike the paid cloud solutions though – you need to download the programme and have some basic IT skills to set it up though.